What a nutty week! Chad was out of town at the start of it and my schedule was packed morning to night. I had a small window to make it to the box … and never did. 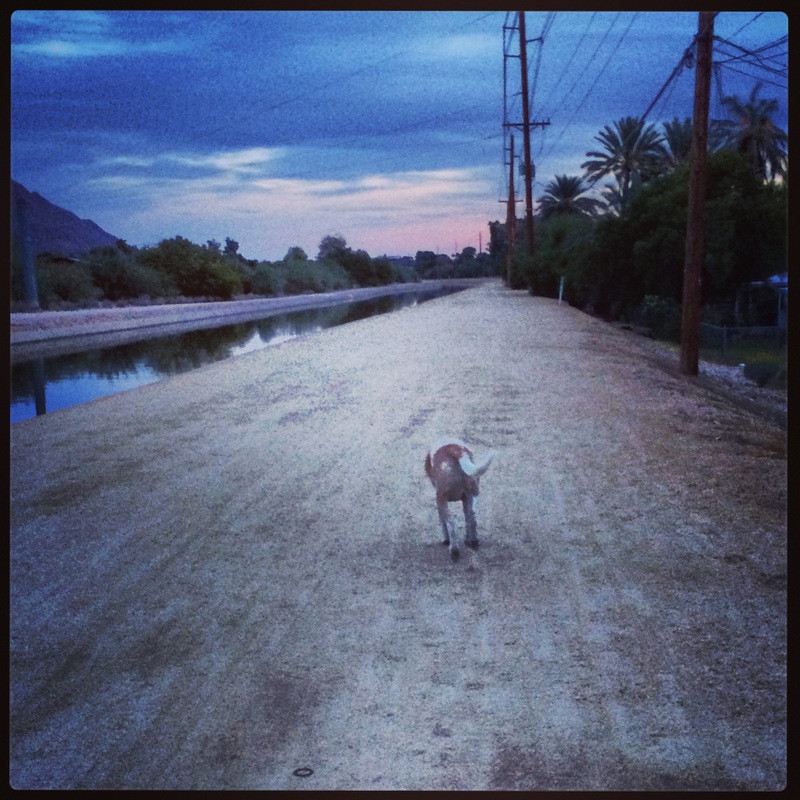 While I missed having to grip the bar, I made up for it with a few runs and plenty of walks with the pooch. I’ve ended this insane week with a weekend of pampering – haircut, massage, mani/pedi. Doesn’t get much better! 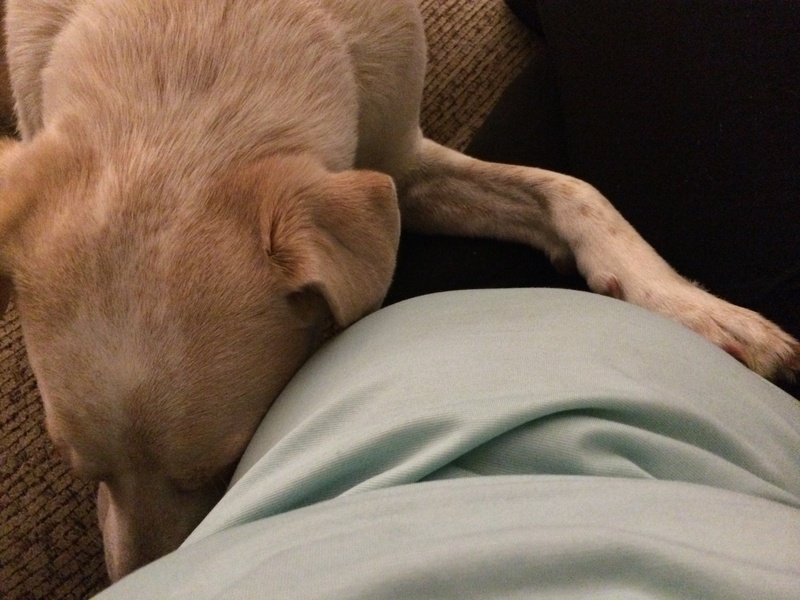 Frankie hugging his baby bump. Melted my heart! I did have a tearful morning on Friday, when the outfit I wanted to wear clearly wasn’t going to work. Pants are the most difficult, but my button up shirts aren’t going to last me much longer unless I have a sweater on top. As a result, I broke down and placed an order with Pea in the Pod. There was a great selection of colorful, fun pants on sale; hopefully something I ordered works! And last night, while working at J.Crew, I found a few tops on sale that will transition me into the next phase of pregnancy. Many friends have recommended Gap, Old Navy and Target, but every time I look online, I’m not thrilled with what I see; assume this means these stores are in between their seasons and hope in the next month or two new product is rolled out. I’m still on the hunt for dresses, so if you see any out there, let me know! Other than that, I feel like we’re moving right along. Food: I wasn’t really hungry this week. Normally, I am famished when I wake up. This week, if I ate a hearty lunch, I didn’t need much more. If I didn’t get to lunch (yes, it was that kind of week where lunch wasn’t always a priority! ), I ate a decent dinner and was fine. Posted on November 24, 2013 by crossfitpregs. 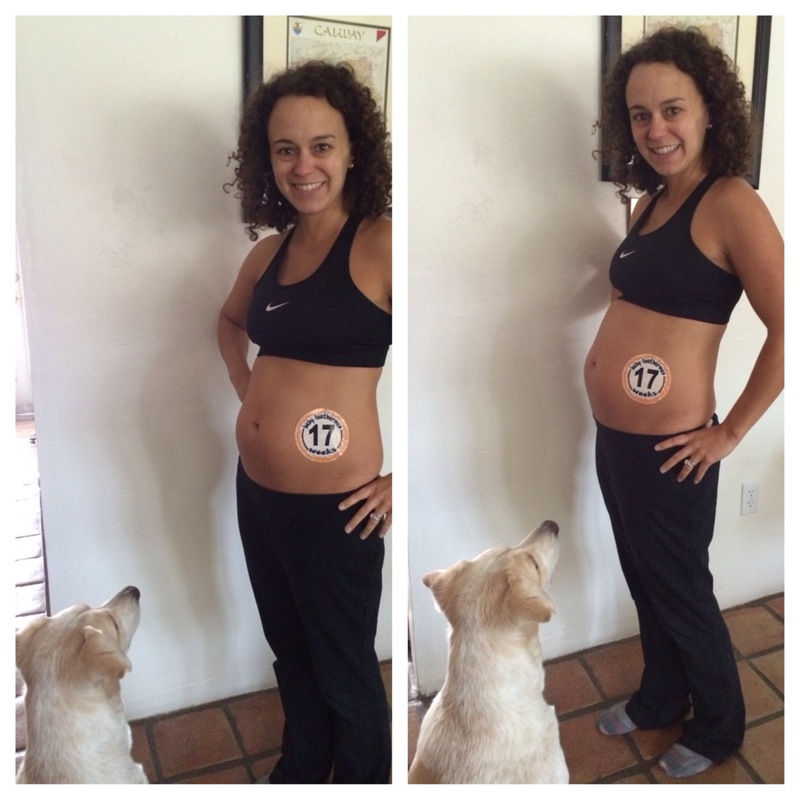 This entry was posted in CrossFit and tagged dogs and pregnancy, Exercise Pregnancy, Fit Pregnancy, maternity clothes, preg, pregnant pampering, pregnany, prenatal massage, running, running while pregnant, WOD. Bookmark the permalink.